Southcoast Health wants you to be healthy in every aspect of your life, including your heart health. We offer programs to help patients achieve this, including our Valve Clinic and Structural Heart Program. Dr. Adam Saltzman is the Medical Director of the Structural Heart Program. 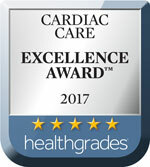 He works jointly with other cardiologists, including interventional and general cardiologists as well as cardiac surgeons, to address the unique needs of patients with structural heart disease. Find a doctor near you to learn more about what our heart care team can do for you. Valve disorders affect the valve’s ability to regulate blood flow through the heart. A valve problem can occur when a valve is not opening appropriately (stenosis) or if the valve is leaking (regurgitation). 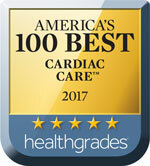 At the Southcoast Valve Clinic in Fall River, MA, our expert cardiovascular surgeons and structural heart specialists deliver the highest quality of heart care to patients with complex valve disorders. When you come to our Valve Clinic, we will perform a full evaluation to determine your best treatment plan for valve repair or valve replacement. Southcoast Health meets the national guidelines for a Heart Valve Center of Excellence. Our program is led by experienced health care providers from multiple disciplines who evaluate your valve problem and offer all available options for the diagnosis and management of your condition, including minimally invasive surgery, transcatheter procedures and complex aortic surgery. In addition, we participate in regional and national outcomes registries, and our outcomes in these areas are higher than national standards. The Structural Heart Program offers multidisciplinary services to care for the complex needs of patients with structural heart disease in southeastern Massachusetts and Rhode Island. Our program offers minimally invasive treatment for patients with valve disease, congenital heart disease and other cardiac issues who may not be able to have open heart surgery. Our cardiologists represent a variety of heart specialties, and they can collaborate with your referring physician to develop a specialized treatment plan. We use the latest technologies available to offer our heart patients the best possible care. Southcoast Health provides treatment for valve disorders and other cardiac diseases at our Valve Clinic and through our Structural Heart Program in Fall River, MA.